Blu-ray Disc Players: What Is The Cost? Blu-ray Disc players are good entertainment value. In addition to the ability to play Blu-ray Discs, Blu-ray Disc players are totally compatible with the standard DVD format, and most are compatible with CDs. 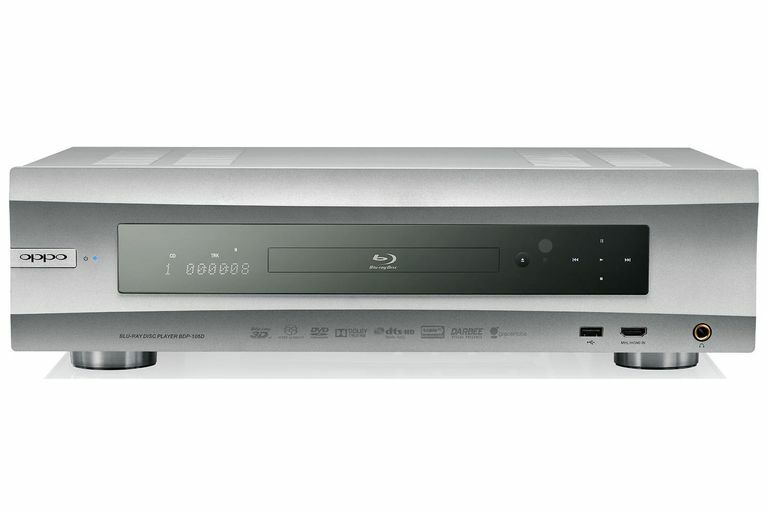 However, those consumers that invested heavily into the HD-DVD format between 2006 and 2008, are somewhat out of luck now as HD-DVDs cannot be played on a Blu-ray Disc player...Unless you own one (and it is still working) of the three Blu-ray/HD-DVD combo players (LG BH100, LG BH200, and Samsung BD-UP5000) that were released before the discontinuation of HD-DVD. In addition to disc content, almost all Blu-ray Disc players also incorporate the ability to access both audio and video content from the internet, as well as content stored on your PC. Most Blu-ray Disc players also include a USB port that you can use to listen to music or view photos and videos stored on USB flash drives. A small number of Blu-ray Disc Players even include features like Miracast, that allow you to share audio and video content from your Smartphone and view it on your TV. Blu-ray Disc Players officially start as low as $69 (check dealers for lower prices) and can go up to $1,000 or more for the highest-end models. However, most Blu-ray Disc players are priced in the $149 - $299 range. Questions, such as software availability and format viability over the long term, are not as much of a concern anymore as the studios are releasing both recent and catalog titles at a faster rate each month. However, keep in mind that Blu-ray Disc movie titles are usually priced at $5 to $10 more than their DVD counterparts. Though, there are bargains to be had. Two ways to cut the price is to order online from sites, such as Amazon, or, if you follow your local retailer's weekly adds, new titles are usually released every Tues, and prices for those new titles are usually discounted during the first week of their release to stores. A second way to get a good price, is to look out for the discount bins, often located in store aisle ways - not all the titles are that popular, but if a movie has been out on Blu-ray for over a year so, you might find them in a bargain bin for $9.99 or less. If you are willing to take the plunge into high-definition Blu-ray to complement the high-definition programs you see on your HDTV, Blu-ray is not only a great choice to consider, it is becoming an increasingly affordable choice, with prices starting at about $70. On the other hand, if you are on a limited budget or do not wish to take the Blu-ray plunge at this time, for about $59 or less there are still some good DVD players with 720p/1080i/1080p upscaling capability that can narrow the gap between standard DVD and Blu-ray, and you don't have worry about your current DVD library becoming obsolete - standard DVDs, and players to play them, will be around for some time. However, it is important to note that as more Blu-ray Disc players become available, and prices continue to fall, manufacturers are making fewer upscaling DVD players as Blu-ray Disc players can also fulfill that role. Our Suggestion: If you are replacing an aging or broken DVD player and are using an HDTV to view your DVDs, it is definitely time to upgrade to a Blu-ray Disc player. Even if you are not interested in purchasing Blu-ray Discs immediately, or building a collection, as prices of discs go down and the number of titles increases, you will find that the visual benefits of Blu-ray are worth taking advantage of, even if it is only occasionally. Although a Blu-ray Disc player provides access to a lot of entertainment options, if you own, or considering, the purchase of a 4K Ultra HD TV, you might want to consider purchasing an Ultra HD Blu-ray Disc player. These players offer everything a Blu-ray Disc player, does with the addition of being able to play Ultra HD Blu-ray Discs, and, in most cases, access 4K resolution content from select streaming services. Although this does require a more costly investment, starting at about $299 for a player and about $5 to $10 more in the price of Ultra HD Blu-ray Discs (prices usually start at $29.99, but some are priced as low as $19.99). However, if you have a compatible TV that is 50 inches or larger, it is worth the upgrade.